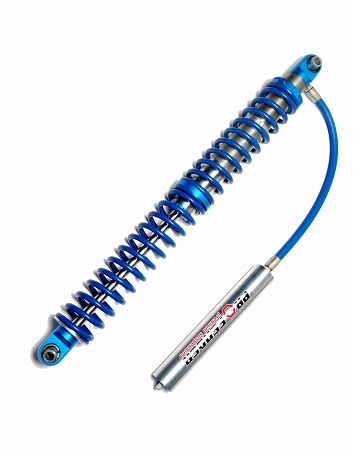 Travel Travel 10" 12" 14" 16"
Bumpstop Length Bumpstop Length 3" 4"
This package includes 2 - 2.0 remote res coilovers in any travel. Springs are included in this package. 2 – 2.0 Bumpstops 3" or 4" travel and mounting cans. Shipping is included. Please include spring rates at checkout. If you are unsure, we can help you decide. Place your order and we will email you for the specs on your vehicle.